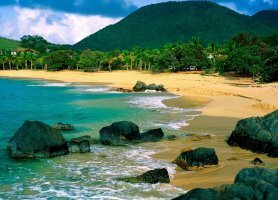 Sint Maarten is an island country in the Caribbean. This is a very small country and a part of Netherlands, with developing economy and great trade potential. Unlike any other island in the region, Sint Maarten enjoys a Duty Free status with no import or export taxes. This allows for the tariff free importation of raw materials for construction and manufacturing as well as tax free exportation of finished goods to be sold in foreign markets. 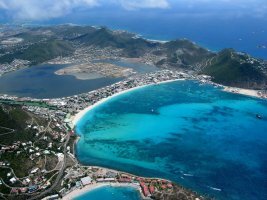 These attributes make Sint Maarten ideal for investment. Furthermore, as an overseas country of the Netherlands, Sint Maarten receives more favorable trade relations with the European Union making exports to that market more viable. The ocean is the first and the most important source of living for the country, bringing the hugest income while selling fish, crustaceans and aquatic invertebrates. The water is full of anemones, urchins, sea cucumbers, and eels, which all live on the reefs along with turtles, conch and many varieties of marine fishes. The marine aquafauna is rich in conch, which has pearly-pink shells. Its meat is a favorite food supplement for export. Other species of fish which are recorded close to the shore line in shallow waters are: sergeant majors, the blue chromis, brown chromis, surgeon fish, blue tangs and trumpet fish. Despite the fact that the territory of the country is very small, the agricultural sector is well developed due to the favorable climate. The country produces the following fruits for export: bananas, papaya, pineapples, mangoes, watermelons, cantaloupes, passion-fruit, breadfruit, coconuts, avocados, and citrus (including mandarin oranges, grapefruit, lemons and limes). Exported vegetables include: sweet potatoes, carrots, sweet corn, tomatoes, taro, yams, peas and beans. A range of minerals, including scrap iron, copper ore, gold, silver and zinc have been discovered on the territory of Sint Maarten and now are exported on the international market, giving the possibility to the country to compete with the world’s largest exporters of natural minerals. The top export destinations of Saint Maarten are the United Kingdom, the United States, France, the Netherlands and Greece. Tax free goods in and out of Sint Maarten are well managed and securely sent and received at the island’s two ports of entry, namely the Port of Sint Maarten and SXM Airport. These two modern and well equipped ports of entry facilitate Sint Maarten’s status as the transshipment hub of the Northeastern Caribbean. Through its active marine trade activities, Sint Maarten has established itself to be a service point for some of the world’s largest shipping lines. The country imports boats and ships to transport big quantities of products to the partner countries, small boats, such as canoes and kayaks for fishing and rigid inflatable boats in order to transport different products from one part of the country into another one. Currently, the infrastructure of Sint Maarten is not very developed as the country does not posses a large number of construction materials and engineering forces for building roads and bridges of international value. In such a way, the country imports low-voltage protection equipment, delivery trucks, cars, buses and integrated circuits. In order to construct the moorings, the country imports iron and seal. In addition to this, the country imports oil, telecommunication equipment, beverages and cement products. As the country is focused on agriculture and soil works, the government of Sint Maarten imports different kinds of farm machinery, such as: power tiller, row cultivators, petrol and disc cultivators, bale wrappers, combined harvesters, feeders, fertilizer spreaders, ground care equipment, ATVs and trailers. The top import origins are the United States, the Netherlands, France, Switzerland and Italy. Sint Maarten has a Duty Free status with no import or export taxes. This allows for the tariff free importation of raw materials for construction and manufacturing as well as tax free exportation of finished goods to be sold in foreign markets. These attributes make Sint Maarten ideal for investment. Furthermore, as an overseas country of the Netherlands, Sint Maarten receives more favorable trade relations with the European Union making exports to that market more viable. In general, there are no customs duties or import tariffs in Sint Maarten, except for a special import tariff on gasoline. The rate is ANG 29% per hectolitre. Sint Maarten accepts international labels and imposes no additional labeling requirements on international products. Currently, labels are accepted in English, Dutch, Papiamento and Spanish. However, authorities are considering changing the requirement to English and Dutch only. Sint Maarten does not impose any packaging restrictions on the international food products.